When I think about writing, I vacillate a lot about what kind of writing I want to do, and what I actually do as well. I've always wanted to be a writer, from as long as I can remember. In college, I started out as a journalism major, and that writing style was ruined for me by one bad class and a professor I didn't like. But I also realized I didn't just want to report the facts. I like adjectives and creative syntax and exclamation points too much. I never even considered English Lit even though my high school English classes were among my favorite. I think my adolescent rebellion kept me from pursuing English (because that was my mom's major in college and heaven forbid I follow in her footsteps), although in retrospect that may have been the best path for me. In the end I went with another favorite subject, and it turned out to be a great fit for me. I studied Modern Languages & Literature and developed a real passion for language and linguistics and wrote a ton about Spanish, Latin American and even French literature. But now that my passion for those subjects has waned a bit, I find myself going back to my roots of just wanting to write. My background and experience would make nonfiction a good fit for me, although I don't feel called to write about a certain topic, and writing a novel has always been a dream. Lately I'm most intrigued by memoirs although I don't feel like I have something particularly memorable to write about right now. Reading Shauna Niequist is inspiring me that I don't need one Big Thing to make my life book-worthy, but maybe just a lifetime of ordinary bits of beauty is enough. Reading Cold Tangerines feels like the word version of 10 on 10 and I'm loving it. Right now, I'm in the trenches of motherhood, and while some women successfully juggle that career along with a writing one, I don't see myself as being that disciplined or motivated. So I'm taking my time right now. Over the next few years my goals are to hone my craft a bit, maybe narrow down what my actual writing goals really look like, and seek out what God would have me do with my words. 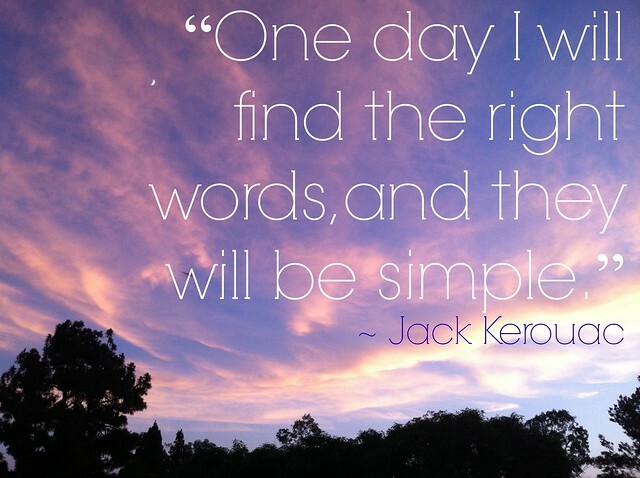 And just write. Oh, and that ebook I've mentioned. I really do want to get going on that and actually release it later this year. Finding the time when I actually feel motivated and my kids are occupied or taken care of is challenging though. Writing the Sewing School eBook is not going to fulfill my writing dream per se, but I do feel like it's a great first step. I've been reading through Self-Publish by Erin Ulrich and Teri Lynne Underwood and it's been a really practical and inspiring guide. I feel like I really don't know what I'm doing in the self-publishing realm so it's nice to feel like I have a couple of coaches walking me through the process. This resources of course provide babysitting, but I figure if I can find myself more equipped and motivated then maybe I can steal time here and there to get the project done. I'll keep you updated as I go, and maybe a little accountability (i.e. writing about my goals here) will also serve to inspire. I know some of you are writers or have writing aspirations. I'd love to hear what some of your goals are and how you're working toward them. Maybe that will inspire me or help me define myself as a writer a bit more.